When reality TV star Kim Kardashian married the hip-hop artist Kanye West last month, Grazia magazine called it ‘the most blingtastic, ‘krazy’ wedding of all time’. The occasion cost $12 million, half a million of them going on the dress alone. It even had its own room at the hotel. But this was more than a bridezilla rampage, it was a deliberate, media-savvy attempt to make us sit up and take notice. And it’s nothing new. The sociologist Thorstein Veblen identified this phenomenon of ‘conspicious consumption’ in 1899. He had observed that the ‘Robber Barons’, the industrialists who’d made money in nineteenth century America were splashing their cash in a very conspicuous manner on architecture, gems, dresses and other flighty things in the hope of winning prestige and social status to which they had not been born. Surprising though it may sound when you consider the excesses of the Kardashian/West wedding, conspicuous consumption is a form of behaviour that may actually be on the decline. Today’s billionaires often prefer a low-key, inconspicuous existence, with privacy being the modern equivalent of bling for the very richest. That slouchy young man in jeans and a baseball cap? Well, he might just be a dotcom giant. In fact, in earlier centuries, a more hierarchical society led to people assessing each other much more readily than we do through external clues like dress and behaviour. ‘Conspicuous consumption’ was originally even more than nouveau-riche aspirational striving; for those on top, it was actually a duty. Everybody expected their lord or master – or especially their king – to look and act like the richest person alive. For the Tudor royal family, say, to be frugal and to live drably was almost a moral failure: it was letting your side and your supporters down. 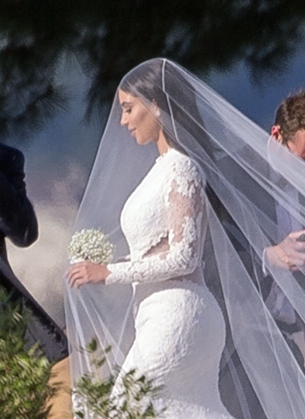 So Kim Kardashian finds herself in rather illustrious company when it comes to over-the-top weddings…. The ‘wedding of the sixteenth century’ was not one of Henry VIII’s, despite the fact that he was present, and that it did involve one of his wives. Catherine of Aragon, later to become Henry VIII’s spouse, had a short-lived first marriage to Henry’s elder brother, Prince Arthur. This initial wedding of Catherine’s was far more splendid than her marriage to Henry VIII in 1509, which was seen as a repeat run and less worthy of attention. 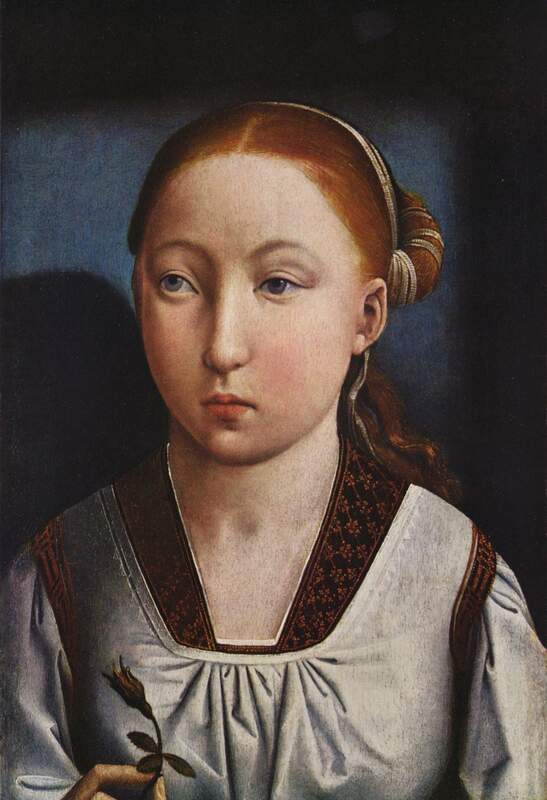 The bride: Red-headed, blue-eyed, ‘she thrilled the hearts of everyone; she possesses all the qualities that make for beauty in a very charming young girl’. Church decorations: a 600-foot elevated walkway covered in red cloth allowed Catherine to process, as if walking on air, along the length of the nave to a raised stage ‘like unto a mountain’. The cathedral’s walls were hung with tapestries. Outside stood a ‘Rich Mount’, a mountain made of metal, topped by three model trees, three kings in armour, and a red dragon. Moving moment: The matriarch of the Tudor dynasty, the groom’s grandmother, the venerable Margaret Beaufort, was in tears as she watched the ceremony through the latticed window of a hidden closet, ‘secretly to see and apperceive the form and manner of the ministration’. Catering: a sumptuous feast, and a conduit in the street ‘pompously devised to run diverse sorts of good wine’. The wedding night: after being led into the bedroom and undressed by their courtiers, the couple were left alone. The next morning, Arthur is said to have called for wine to refresh him after his ‘long journey into Spain’, a crude reference to his Spanish wife. Entertainments: ten days of jousting, dancing, theatre and archery. During the tournament, the Duke of Buckingham made a striking entrance on horseback from out of a white and green satin pavilion on wheels. The entertainers included a Spanish acrobat, who could do ‘wondrous and delicious Points of Tumbling, Dancing and other Sleights’. Dancing energetically at one of the balls, the young Henry VIII grew hot and ‘suddenly cast off his gown and danced in his jacket’ to the pleasure of all the spectators. 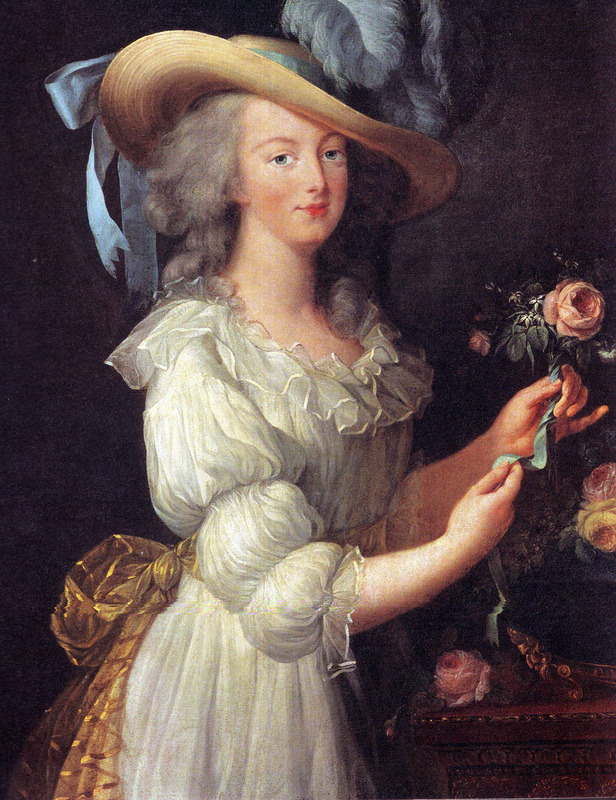 Marie Antoinette overshadows her husband, the future king Louis XVI of France, in terms of name recognition, and, of course, in terms of a supposed appetite for excess. At the time of her marriage, though, she was still just the youngest daughter from a nest of Austrian princesses who had yet to mark her mark on the world. Nevertheless, the nuptials were an impressive foretaste of ritual and splendour to come. The bride: A surgeon had already corrected Marie Antoinette’s wonky teeth as had been agreed in the diplomatic negotiations between France and Austria leading up to the marriage. She had a wonderful white skin, but people found her ‘a little childish’ and she was said to look ‘not above twelve’. The dress: She was driven into the Chateau of Versailles at 10am and spent four hours in the Queen’s Grand Apartments being dressed in a white brocaded gown decorated with pearls (symbols of purity) and diamonds, over wide hoops, and having her hair powdered. Ceremony: at 1pm, Marie Antoinette was taken to the groom, who wore a suit of gold. She had only met him the day before. The two then processed hand-in-hand to the chapel, where the Dauphin gave her a ring, and Marie Antoinette nervously blotted her name when signing the register. Five thousand guests filled the palace. Gifts: Marie Antoinette received a trunk of crimson velvet, six feet long and three feet high. It was full of drawers linked with sky-blue silk, each containing jewels. Entertainment: In the evening the couple went to the Hall of Mirrors to look out at the canals in the garden covered with illuminated boats, but a firework display was delayed because of a thunderstorm. Then it was off to the palace opera house. The French people continued to celebrate the wedding for two more weeks – until, on 30 May, another fireworks display in the Place de la Concorde went wrong, and killed 132 people. A wedding involving both high society and money is no guarantee of its success. 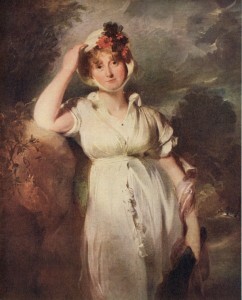 Caroline, a German princess, was selected as a spouse for her cousin, Britain’s Prince of Wales, the future George IV, because she looked likely to be a good breeder. The bride: The courtier sent to fetch Caroline from Germany commented on her as if she were a horse: ‘fine eyes – good hand – tolerable teeth – good bust’ and ‘her whole person was voluptuous’. But he also had to give her a few tips about the higher level of personal hygiene that would be expected in Britain. A warm welcome: On Caroline’s arrival in England, the Prince sent his latest mistress, Lady Jersey, to greet her. When Caroline reached St James’s Palace, and met her future husband face-to-face, he was heard to mutter ‘I am not well, pray get me a glass of brandy’. She, on the other hand, said: ‘he’s nothing like as handsome as his portrait’. The dress: Caroline had difficulty in walking up the aisle because of the weight of her outfit: a silver-tissue dress, and an ermine-lined velvet royal robe. People took issue with her fashion sense, saying ‘such an over-dressed, bare-bosomed, painted eye-browed figure one never saw’. The ceremony: On his way to the wedding the Prince was heard declaring that ‘the only woman I shall ever love’ was an earlier mistress, Maria Fitzherbert. At the altar, he was asked very pointedly if he knew of any impediment to the marriage: everyone was wondering if he would come out and admit that he was already secretly and illegally wed to Mrs Fitzherbert, a Catholic divorcee. But he stayed silent. Because he calmed his nerves with more brandy, the Prince had to be supported quite literally by a couple of Dukes as he took his vows. He actually tried to walk out, inebriated and confused, while the prayers were still going on. The gifts: Caroline’s wedding gift from her husband was a pair of pearl bracelets, but he afterwards took them back and gave them to Lady Jersey, his mistress, instead. The wedding night: George IV later boasted that on seeing him naked, his new wife had gasped ‘Ah mon dieu qu’il est gros!’ However, this cannot have happened on the wedding night itself, for ‘he spent the greatest part of his bridal-night under the grate, where he fell’ in his drunken stupor. In the nineteenth century, commoners took over from royalty in setting the pace for the most lavish weddings. Queen Victoria’s marriage was as low-key as she could manage: she wanted to wed as a woman, not as a queen, and started the enduring trend for wearing a simple, white silk dress. 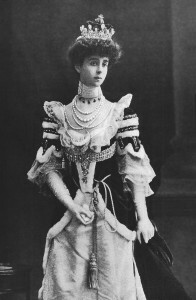 By contrast, the 1895 wedding of the wealthy Consuelo Vanderbilt to the Duke of Marlborough, was a magnificent affair, puffed and promoted by the bride’s mother. Families like the Vanderbilts, made rich by shipping and railroads, now wallowed in the luxury of America’s ‘Gilded Age’. Music: A 60-strong orchestra played Tchaikovsky and Wagner, while there were a further 50 singers in the choir. The dress: Consuelo’s lingerie cost $3,000, and her mother leaked its details to Vogue. Other papers then reproduced them: ‘it is delightful to know that the clasps of Miss Vanderbilt’s stocking supporters are of gold, and that her corset-covers and chemises are embroidered with rosebuds in relief’. The dress, worth $6720.35, was cream satin with a fifteen-foot train. Consuelo carried orchids from the greenhouse at Blenheim Palace that had been shipped in a refrigerated container to New York in order to maintain a Marlborough tradition. The crowd: Three hundred policemen were required to keep back the crowd. The mob of ‘young women, old women, pretty women, ugly women, fat women, thin women’ were treated by the police as ‘an obstreperous herd of cattle’. Inside the church, some female guests had climbed over the floral decorations to take the best seats in the aisle, and had to be removed by ushers. The ceremony: The bride appeared twenty minutes late, apparently after pleading with her father not to make her marry this English duke, who had offered to make her a duchess in return for railway stocks and the cash he needed to maintain his estate at Blenheim Palace. Reputedly Consuelo cried throughout the ceremony behind her veil. The gifts: pearls (including a string once owned by Catherine the Great), diamonds, and silver: mirrors, bon-bon boxes, loving cups and snuff boxes. Entertainment: the breakfast, held at the bride’s house, was for 115. There was a 10-foot high fern display, liveried footmen and a Hungarian band. How did each marriage end? Katherine of Aragon and Prince Arthur: early death of the groom through sickness. Marie Antoinette and Louis XVI: both guillotined. Caroline of Brunswick and George IV: divorced. Consuelo Vanderbilt and the Duke of Marlborough: divorced. Is it a coincidence that none of these lavish weddings ended in happy old age?? If George IV had turned up at a modern wedding venue, he might well have been declared unfit to proceed. Any polling station in a modern election would have turned him away since there are specific instructions not to allow those inebriated to vote. But he may well have been very successful as an MP. Or an a journalist. I don’t think it’s a coincidence at all. There is a logic behind all of these uber weddings going wrong. If the couple to be has been forced upon each other for political or economic/ status reasons and are expected to stage a spectacle for the masses because of their status in society, the pomp, duck and circumstance fulfills the purpose of covering the fact that there’s no love lost between the two parties. And the latter is never a good recipe for a happy and long marriage I guess. No idea how much the bill was for Lady Diana Spencer and Prince Charles but maybe they would fit into this category as well. Thank you for this fascinating and, as ever, so well researched and clearly explained. I also like your final comment: yes lavish bling celebrations do not guarantee long term stability and happiness. No guillotine for Kim and Kanye? Hi Lucy….I’m Larry in Ottawa Canada. I just watched your doc on toilets. I thought it was great. Never really gave much thought to them, but you have a unique and tongue in cheek way of presenting. Caughta few of your other episodes as well, enjoyed them also. Just thought I’d say hi. I have always see that large expensive weddings are a demand of societies expectations and have nothing to due with reality. On another note, I always felt sorry for Caroline of Brunswick. Thanks, Lucy, for putting this in an historical context..Poor Kim and Kanye…they are not so very special after all!